For the first time in the survey's history, the USDA and U.S. Census Bureau found that Americans are relying more on prepared food over homemade. We've all been there: it's the end of a long workday, you head home to a semi-barren fridge and decide to skip MacGyver-ing a meal and order take-out instead. According to U.S. census data, you're not alone in doing this. The stats reveal that in the last year, Americans began spending more money on eating out than ever before, even surpassing their spending on groceries. 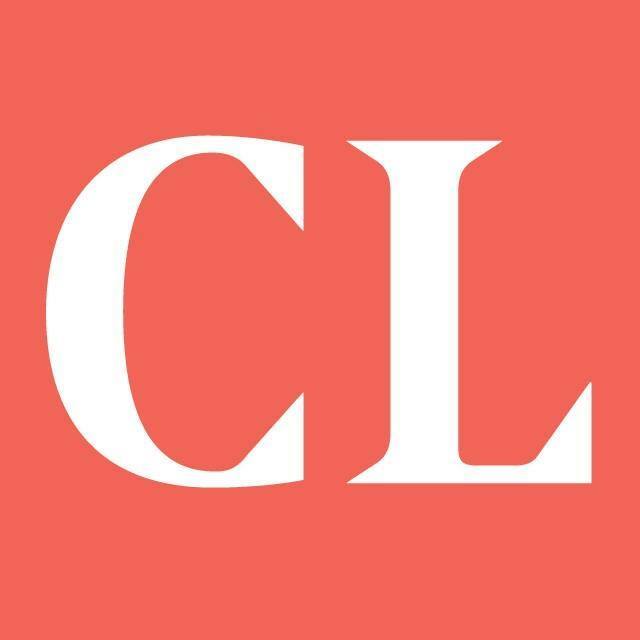 Quartz recently compiled the data, showing how the USDA and U.S. Census Bureau compared Americans' spending habits from the last 24 years in restaurants and grocery stores. For the first 23 years, Americans regularly spent more of their food money on supermarket groceries, and therefore home cooking. But not anymore. 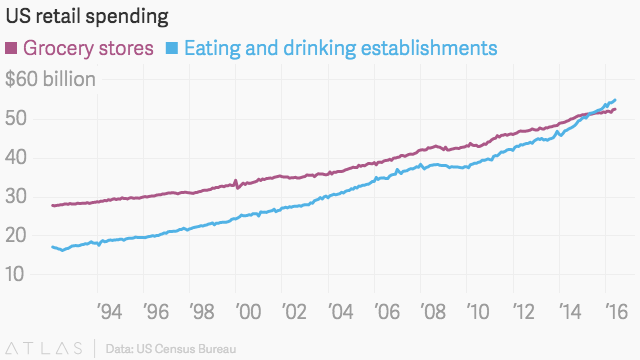 The possible reasons, suggested by Quartz, behind this climbing trend for eating out vary. One of these is the stagnant prices of chain grocery stores, who also have to compete with "the rock bottom pricing of dollar stores." But our love of instant gratification may be our own undoing, since data shows that Americans have been consistently consuming more and more fast food since the 1970s. There's concern that the rising trend of eating out is connected to America's high rate of obesity. And while there's plenty of ways to eat healthy when out and about, it's very disconcerting to learn that the art of cooking, and the joy of eating together around the dinner table, is falling to the wayside for convenience's sake.